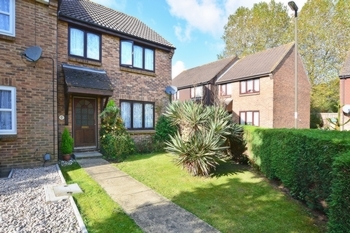 This three bedroom end of terrace property is AVAILABLE NOW. 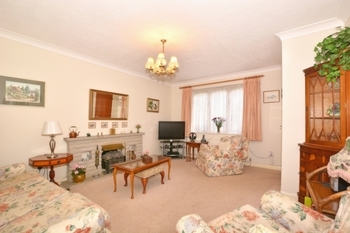 Located just 1 MILE FROM THE TOWN CENTRE & CRAWLEY TRAIN STATION this is a MUST VIEW. 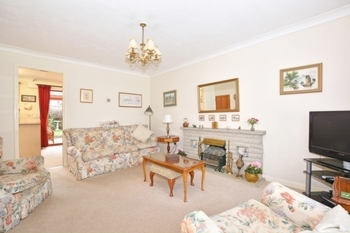 Benefiting from spacious accommodation and A DETACHED SINGLE GARAGE. 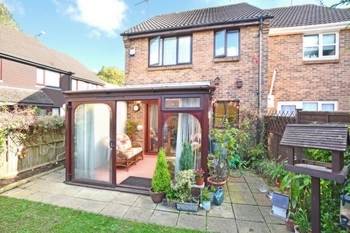 A small path leads through the front garden to the covered entrance porch. Once inside you step through the front door you walk immediately into the entrance hall. Within the entrance hall there is an under stairs storage space, ample space for coats and shoes, stairs to first floor landing and door into the lounge. 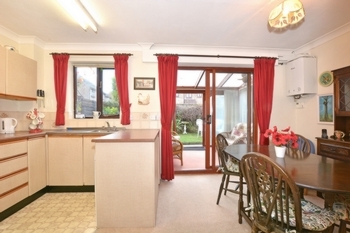 The spacious front aspect lounge measures 15'1"x 12'4" in length and has a window which overlooks the front garden. The lounge can comfortably hold large sofas, as well as other furniture, and gives generous relaxation space as well as a door that open nicely through to the kitchen/diner. 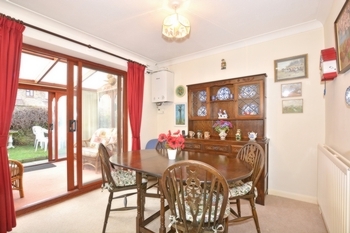 The dining area within the kitchen can comfortably hold a six seater dining table with further floor space for additional furniture and there are sliding patio doors into the conservatory. The kitchen is fitted with a range of base and eye level units with space for appliances, accompanied with work surface surround set against tiled walls. 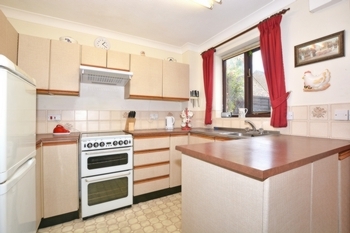 Within the kitchen there is a window overlooking the rear garden. 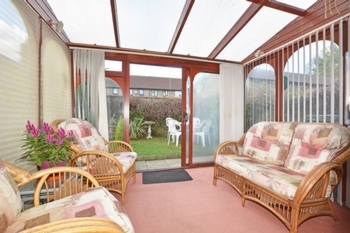 The conservatory is a great addition which provides a quiet area to relax and enjoy your morning coffee. The first floor landing benefits from a storage cupboard, the airing cupboard and gives access to the loft. Bedroom one sits at the front of the house and can comfortably hold a king size bed. 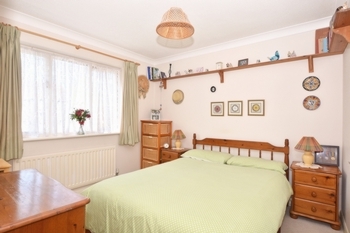 Within the room there is a range of double wardrobes, space for a dressing table and room for further furniture if needed. 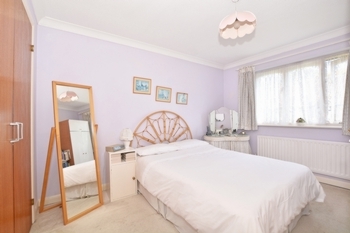 Bedroom two is also a double bedroom with floor space for bedroom furniture and a window to the rear. Bedroom three is a single bedroom, measuring 8'7"x 6'4", and currently holds a single bed with additional floor space and a window to the front. The family bathroom has been upgraded to a shower room. 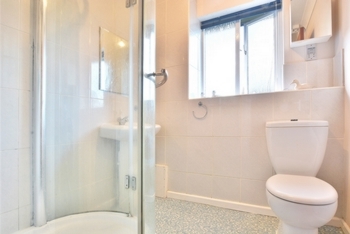 Within the bathroom there is also a W/C, wash hand basin and a window to the rear. 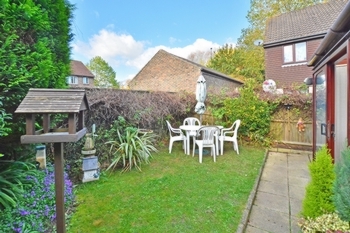 The rear garden offers a good degree of seclusion and is mostly laid lawn with flower/shrub border and gated side access. 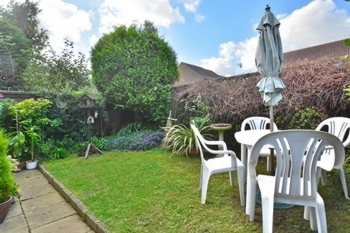 The garden offers easy maintenance and is ideal for entertaining, with a generous patio area. 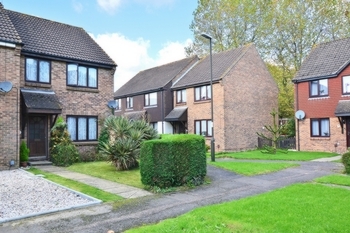 The front garden is partly laid to lawn, with pathway leading to front door.